Sometimes, it’s not necessarily about the final score. 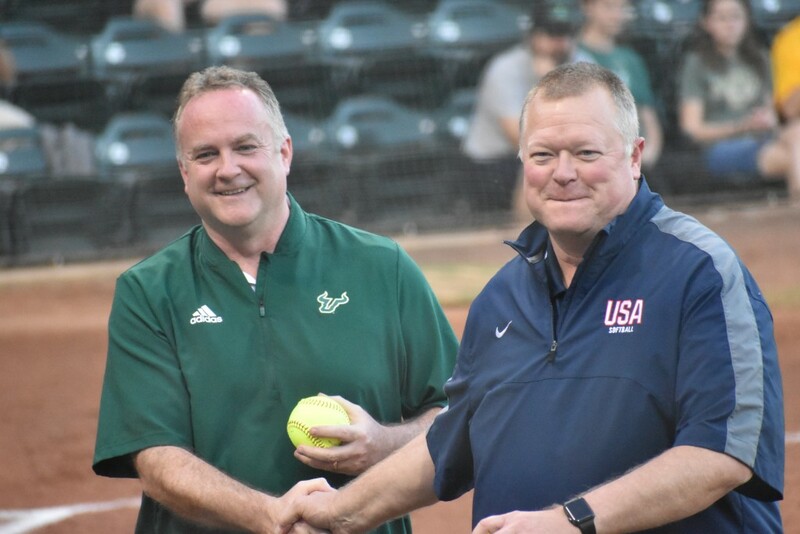 Monday was one of those nights at the USF Softball Stadium. 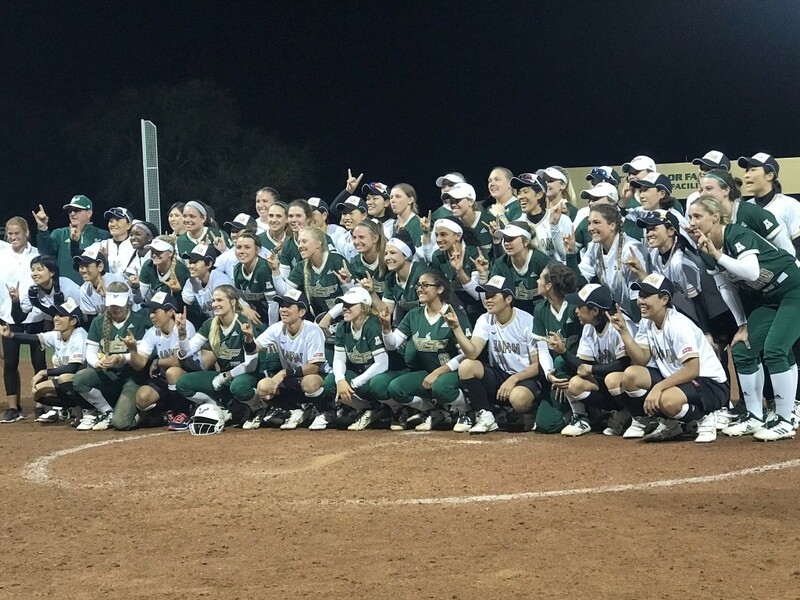 USF softball played host to the No. 2-ranked team in the world, Team Japan. For the majority of the game, the Bulls held their own, limiting Japan to one run through the game’s first six innings, though ultimately falling 10-2 after allowing nine runs in the seventh inning. 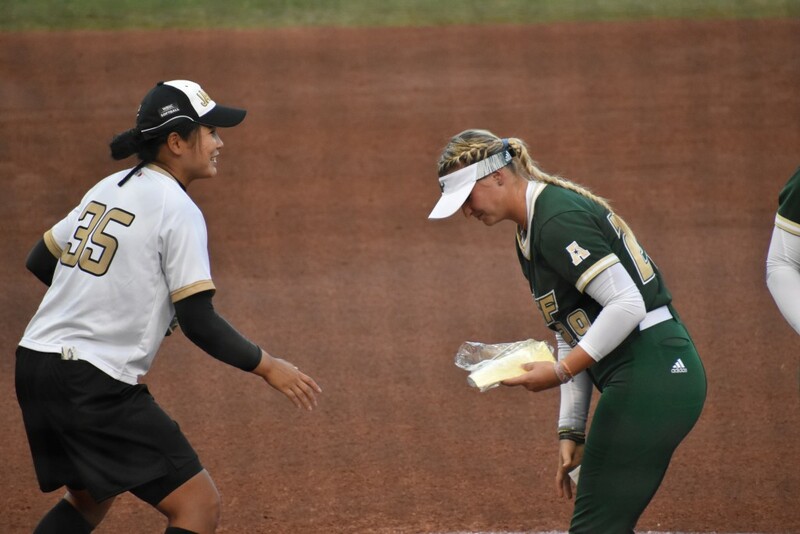 The Bulls’ only runs came in the bottom of the seventh, when freshman Dezarae Maldonado connected for a two-run homer to left field off Kana Nakano. Maldonado’s homer was her first base hit in a USF uniform. But Monday night was about more than just another game among the dozens of others USF will play this season. It was about playing with the best of the best. 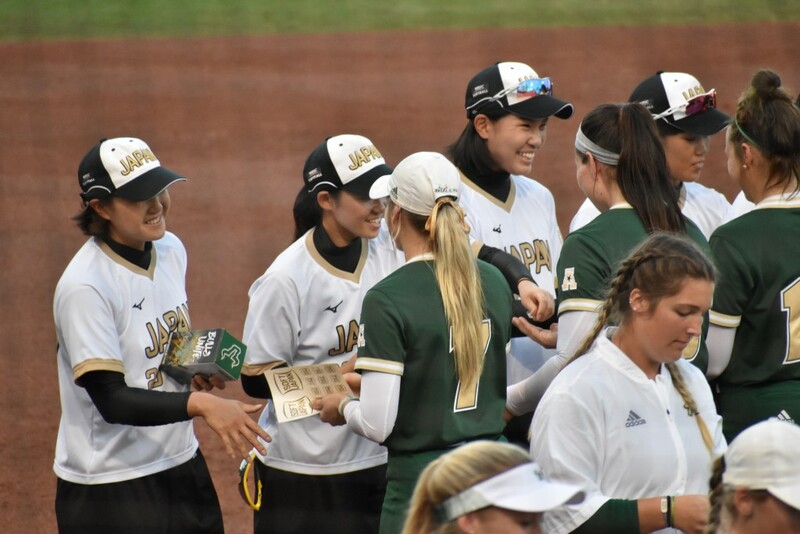 Before the game, USF and Team Japan greeted each other with gifts as starting lineups were announced. 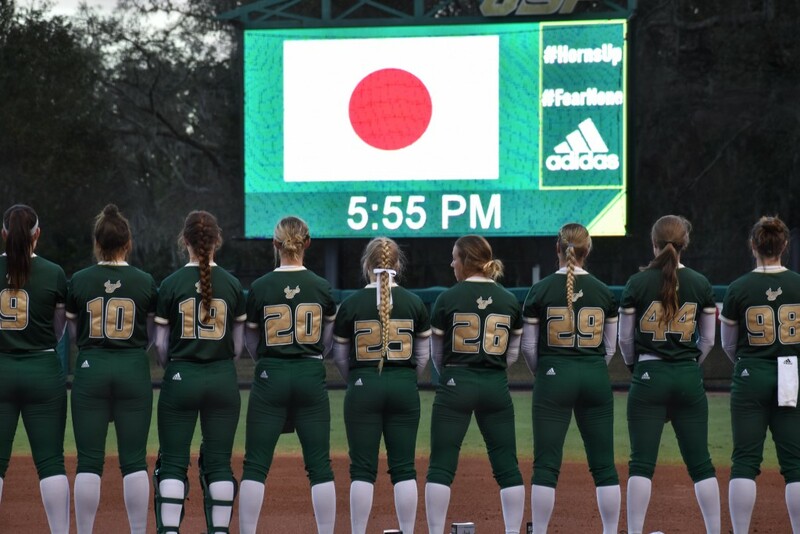 After the game, the friendliness continued, with Team Japan bowing toward the crowd at the USF Softball Stadium shortly after the final out was recorded and standing at attention along their baseline as the Bulls sang the university’s alma mater along their baseline. Corrick, who is no stranger to Team Japan, having pitched against them as a member of Team Great Britain, started the game, allowing one run on three hits and struck out two. “It’s always really exciting, just playing Team Japan in general,” Corrick said. “It’s always such an experience. They have such a great respect for the game. And I feel like no matter what uniform they’re wearing, no matter what uniform I’m wearing, it’s always going to be a great matchup. Eriksen, like Corrick, knows Team Japan well. Eriksen has served as head coach of Team USA since 2011 and has coached against Japan many times prior to Monday. Ultimately, 18 different batters and five pitchers received playing time against one of the best teams in the world just a day removed from wrapping up a weekend where the Bulls played the Nos. 5, 7 and 19 teams in the NCAA.